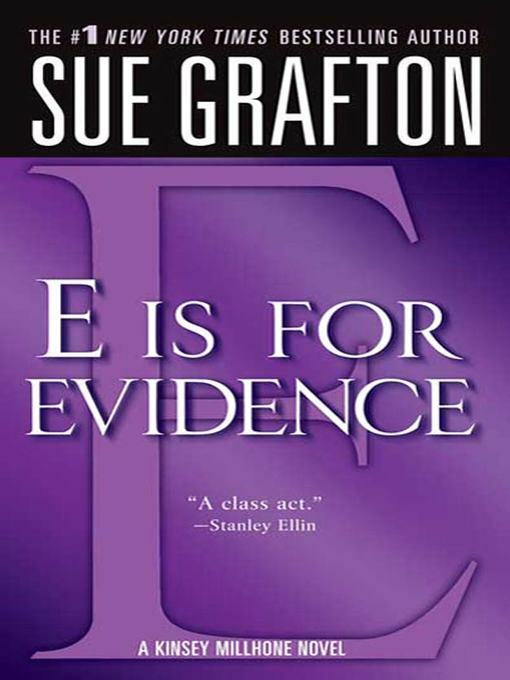 "E" is for evidence: evidence planted, evidence lost. "E" is for ex-lovers and evasions, enemies and endings. For Kinsey, "E" is for everything she stands to lose if she can't exonerate herself: her license, her livelihood, her good name. And so she takes on a new client: namely, Kinsey Millhone, thirty-two and twice-divorced, ex-cop and wisecracking loner, a California private investigator with a penchant for lost causes—one of which, it is to be hoped, is not herself.